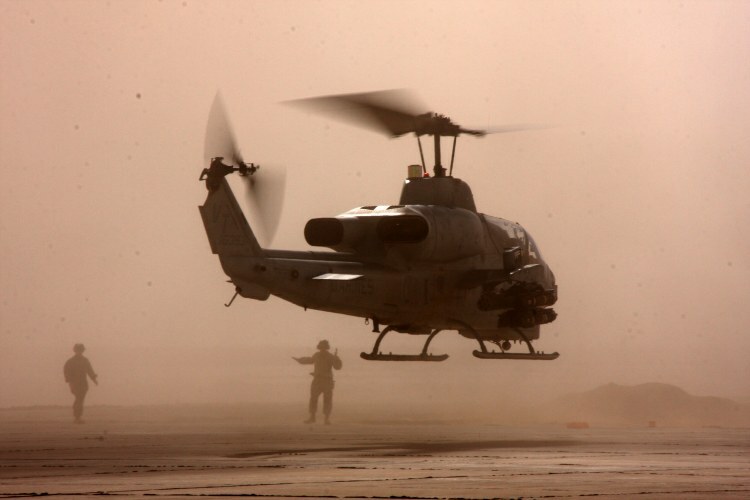 Sahl Sinjar Air Field, Iraq, 07 November 2008 — An AH-1W Cobra helicopter lands at Sahl Sinjar Air Field in Ninawa province, Iraq. U.S.M.C. photo taken by Lance Cpl. Kelly Chase.